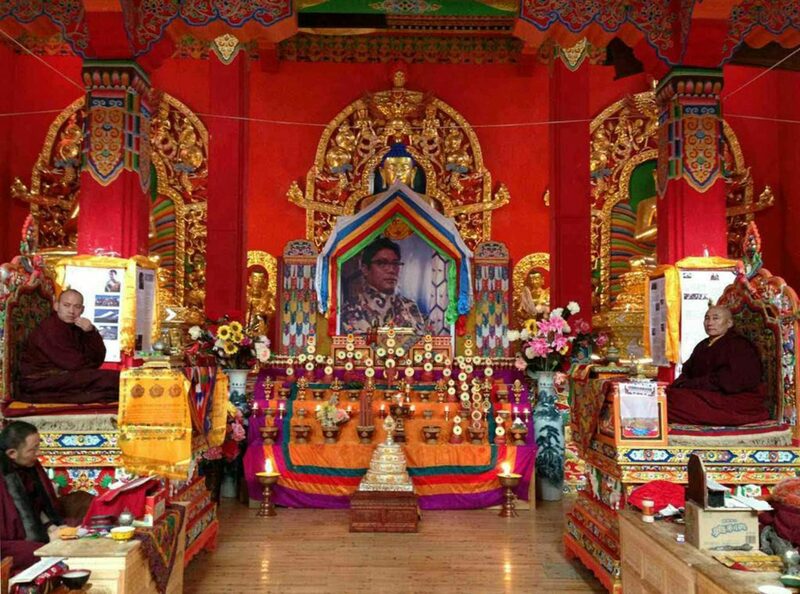 The 30th anniversary of the parinirvana of Chögyam Trungpa XI Rinpoche was marked with a three-day practice period at his home monastery in eastern Tibet in early April. Chöseng Trungpa XII Rinpoche, assisted by Aten (Chetsang) Rinpoche, led approximately sixty monks, twenty-five nuns, and two hundred lay people during this event at Surmang Dutsi Til. 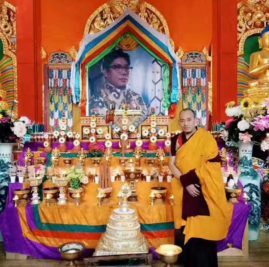 Among the practices performed were the sadhana of mahamudra and the dharma sagara, which is a guru yoga written for Chögyam Trungpa Rinpoche by Dilgo Khyentse Rinpoche. Tibetan texts for those sadhanas were provided with the gracious assistance of the Nalanda Translation Committee. The parinirvana event was included within the monastery’s cycle of dharma practices that take place every year in the months after Losar (Tibetan New Year). These include the Chakrasamvara dance, the drupchen closed retreat, and chanting of the songs of the Kagyu Gurtso (Rain of Wisdom).